We are family physicians providing comprehensive prenatal care for low-risk pregnancies. One of our family physician team members is available to you 24h/day and 7days/week at the Labour and Delivery unit at Brampton Civic Hospital. We monitor and manage the progress of your labour, conduct the delivery and provide post partum care for both mom and baby. If any complications arise during the labour or the birth, we consult and transfer care to the obstetrician or pediatrician on-call in the hospital. We provide immediate post partum care in hospital after delivery and see your back in our offices within 6 weeks after delivery. We specialize in low risk obstetrics. 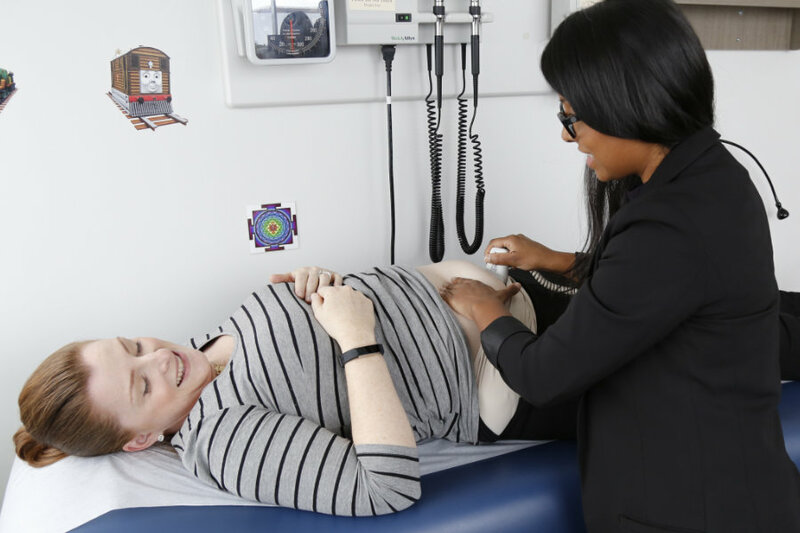 We are able to care for most patients who are referred to us, however, some may not be suitable for primary care obstetrical care and will be referred to one of our obstetrician colleagues. We only provide care to women who will deliver at Brampton Civic Hospital. The clinic provides patient and family-centred prenatal and postpartum care to women, and we have special services for those experiencing psychosocial challenges and/or mental health concerns. The inter-professional team is comprised of our family physicians providing low risk obstetrical care, nurses and a social worker. Women attend the clinic for their prenatal appointments with the intent to deliver at Brampton Civic Hospital. We promote shared decision-making and encourage women’s active participation in all aspects of their care. Postnatal services, including breastfeeding support and newborn care, are also available to ensure mothers and babies are well supported in the days following delivery.